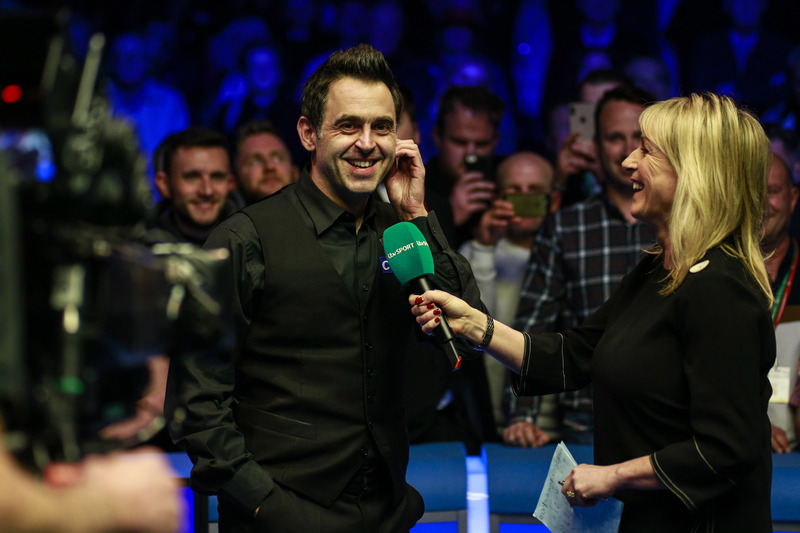 Ronnie O’Sullivan secured the 36th ranking title of his career to equal Stephen Hendry’s record, after defeating Neil Robertson 13-11 in the final of the Coral Tour Championship in Llandudno. Hendry has topped the all-time ranking event winner’s list for over 21 years since his win at the 1998 Thailand Masters. O’Sullivan now joins the legendary Scot at the top of the pile after claiming his third ranking victory of the season. 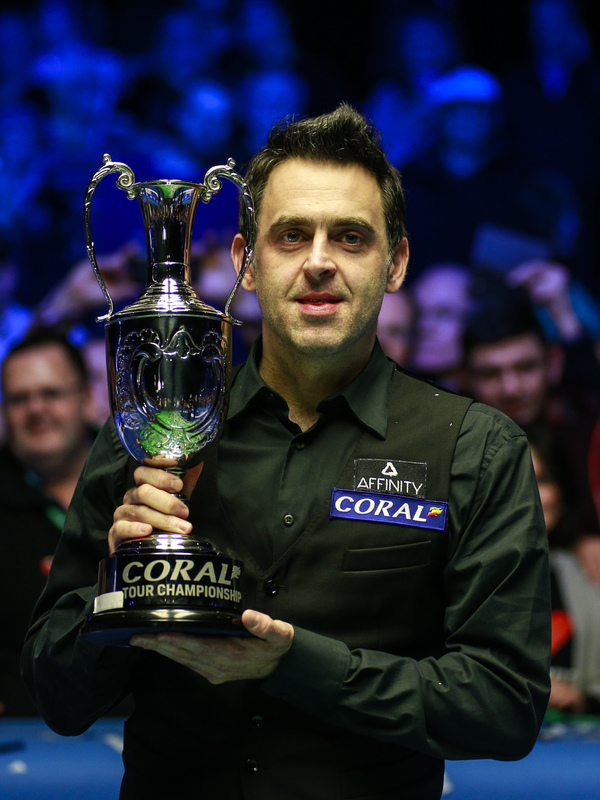 The historic moment follows on from another momentous landmark at the recent Coral Players Championship, where he made the 1000th century of his career in the decisive frame to clinch the title. O’Sullivan has also secured the inaugural Coral Cup, having accumulated the most prize money across the three Coral Series events. By earning the £150,000 top prize, O’Sullivan has moved to world number one for the first time since May 2010. He has displaced Mark Selby and ends a four-year reign, which extends back to February 2015. At the age of 43, O’Sullivan becomes the oldest world number one since Ray Reardon in 1983. Overall this is O’Sullivan’s fifth victory of the season, having won invitational titles at the Shanghai Masters and Champion of Champions. He has now earned over £900,000 in prize money for the campaign. Robertson leaves Llandudno with £60,000 as runner-up and has now reached three consecutive ranking event finals. He won the Welsh Open and was runner-up to O’Sullivan at the Coral Players Championship. The Australian produced a strong showing in the afternoon session to set up this evening’s blockbuster finale, with the score finely poised at 8-8. O’Sullivan got tonight’s play underway in spectacular fashion, firing in a break of 129 to take the opener. There was then an extended safety battle on the final yellow in the following frame, which Robertson won to restore parity once more. They continued to trade frames and went into the mid-session locked together at 10-10. Five-time World Champion O’Sullivan took two on the bounce when they returned to move one from victory at 12-10. However, Robertson showed great character to stay in the match by producing a gutsy run of 56 to draw within a frame. Robertson had an opportunity to force a decider, but missed a black off the spot on a break of 28. That was ruthlessly pounced upon by O’Sullivan who produced a fine contribution of 89 to take home the title. He will now turn his attentions to aiming for a sixth world title when he takes centre stage at the Crucible Theatre next month for the World Championship. “There are certain records that mean a lot and the amount of ranking titles is one of them. It is about longevity and consistency and that is a true test of any player. It comes over time and is about the amount of titles you can win. That is quite a good one,” said O’Sullivan. “To be world number one is crazy really. I have only played in half of the events that everyone has played in. I don’t know how that has happened. Robertson was left to rue missing his opportunity to take the match to a decider, but was keen to take the positives on another strong showing this week.